Our new site provides you with even more access to, and control over your Library account. This post focuses on adding your existing Library account to our new website. It's simply a matter of signing in for the first time. To access your Library account online, click on the Log In/My Account button located in the top right corner of any page of our website, then click Log In/Register. Log in using your library card number (located on the back of your card) and your PIN (usually the last 4 digits of your telephone number, unless you’ve changed it). 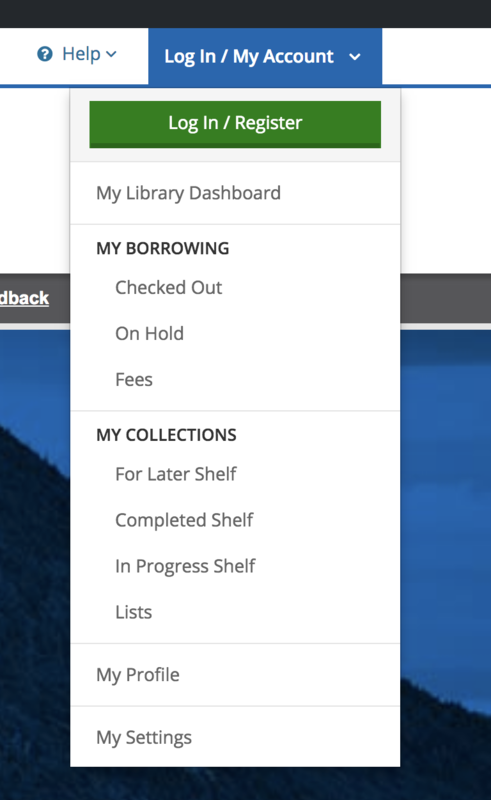 The first time you do this on our new site, you will be prompted to set up your myHPL Catalogue Account. Review the information from your Library account. If you run into any mistakes or you’d like to update anything, you can contact us or visit your local branch. Add/edit your email address (optional). Add your birth month and year (optional). Create a username. Doing so gives you the option to log in using your library card number OR your username. A username can often be easier to remember if you’d ever like to review your account but don’t have your library card number on hand. Note: Some usernames may not be available, as usernames are part of the larger BiblioCommons network of library websites. TIP: You can update your library PIN and email address through My Account. Now you’re all set to start exploring! Learn more about your account features in our post: All About My Borrowing.